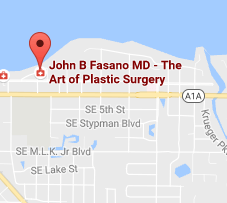 Dr. John B. Fasano is committed to providing exceptional and personalized plastic surgery of the highest level. He has extensive experience in plastic surgery which he combines with artistry to create natural and beautiful results that enhance your beauty. With years of experience in Stuart, Jupiter, Vero Beach, Sewall’s Point and St. Lucie, Florida, Dr. Fasano has perfected the art of plastic surgery. He takes great care to listen to his patients and to provide them with their ideal breast, body or face treatment. Let Dr. Fasano help you reflect the beauty within. The human body is a beautiful creation. Dr. Fasano provides personalized plastic surgery services that amplify his patient’s confidence in their own. At his Stuart office, Dr. Fasano offers breast services including: breast augmentation, breast reduction, breast reconstruction and gynecomastia procedures. 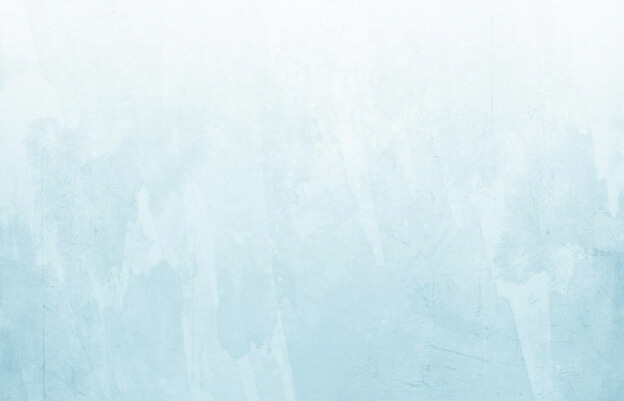 Dr. Fasano also offers many popular plastic surgery procedures for the body such as a body lift, abdominoplasty (tummy tuck), brachioplasty, liposuction, labiaplasty (labia rejuvenation) and nonsurgical CoolSculpting. In addition to body treatments, Dr. Fasano also performs plastic surgery on smaller facial areas for Florida patients. He offers both face lifts and in-office mini facelifts. Dr. Fasano offers rhinoplasty (nose surgery) and blepharoplasty (eyelid surgery) procedures for both the upper and lower eyelids. Dr. Fasano also has an array of injectable fillers available for patients. He offers Botox® Cosmetic, Juvederm XC®, Juvederm Voluma®, Restylane®, Restylane Lyft®, Belotero® and Sculptra® Aesthetic treatments to his patients to help fill and smooth lines and folds that age their skin. If you’re looking for skin rejuvenation using radiofrequency (RF) energy, Dr. Fasano now offers Fractora treatments as well. In addition to fillers for your skin, Dr. Fasano offers other nonsurgical procedures at his Stuart office. He treats surface lines, dark spots and scars using state of the art laser resurfacing technology, perfect for those who spend time in the St. Lucie, Jupiter and Vero Beach-area sunlight. Chemical peels are another treatment of choice for those desiring to deeply cleanse, exfoliate and polish their complexion. He also offers Nia 24 which reduces signs of premature aging. The Obagi Condition and Enhance System is also offered by Dr. Fasano to improve signs of aging at the cellular level. New non-invasive procedures available at his plastic surgery office in Stuart include the skin-tightening FaceTite™ for face & neck and the body contouring technology of BodyTite™. Dr. Fasano offers this FDA-approved, non-invasive procedure for those looking to get rid of that excess fat that exercise can’t touch. 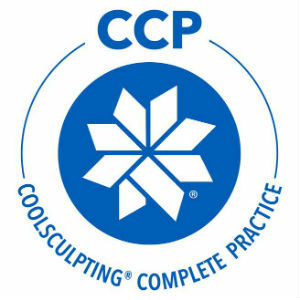 CoolSculpting is used to treat fat that lies just under the skin of the stomach, thighs and love handles. 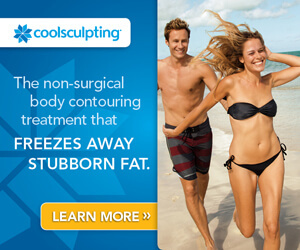 This procedure can remove about 20% of fat from the area after just one treatment. It’s even won “Best All-Over Fat Fighter” in the New Beauty Awards for 4 years in a row!